Finger Loop Bracelets always catch my eye. I love that they are a departure from the ordinary and yet are comfortable and fun to wear as all jewelry should be! I've chosen a cotton and linen blend for my Star Medallion Finger Loop Bracelet Pattern. It's great for any season, but is especially nice in the warm months. This pattern falls into the Easy to Intermediate skill level for it's shaping and use of a couple less common stitches. I have broken it down into easy-to-follow instructions with 24 pictures to illustrate every step of the way. It includes an abbreviation and stitch guide as well as gauge guidelines to crochet this patterns in any size. I predict that once you finish your first, you'll want to make more. They are sure to get noticed whether you're on the beach or out to dinner. 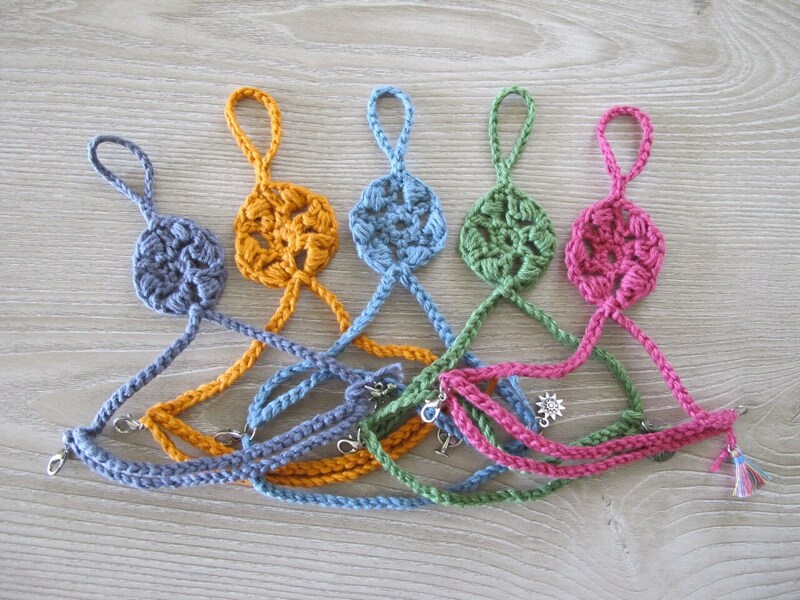 They crochet up quickly and make great gifts for all of the extraordinary friends in your life! This purchase is for the Star Medallion Finger Loop Bracelet pattern only. It does not come with the bracelets pictured here. This pattern is copyrighted and for your personal use only. The Star Medallion Finger Loop Bracelet may be made and given as a gift, but the pattern may not be reproduced for use by others. 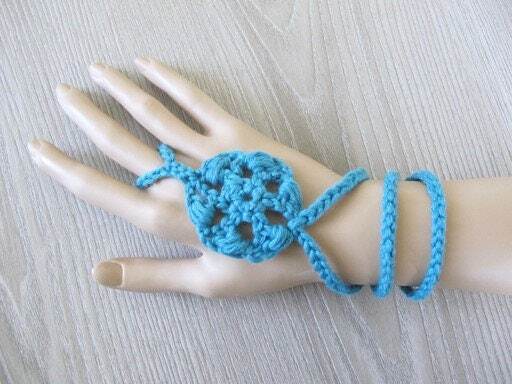 I hope you enjoy crocheting the Star Medallion Finger Loop Bracelet!